THE PERFECT BUILD SITE FOR YOUR OFFICE, WAREHOUSE OR BOTH! 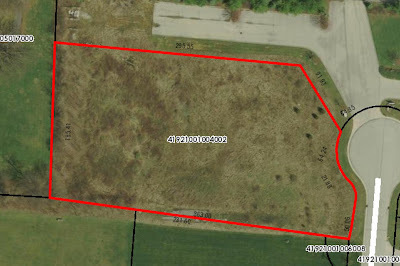 1.53 acre Industrial District site located on a cul-de-sac with other established businesses. Close to railways, major arteries and just minutes to Downtown Delaware. Electric, water and sewer available. Zoned M-2 General Manufacturing. Only $135,900! Call DeLena today!